Penny Evans is a ceramic and mixed media artist, making distinct and spirited works that embody her Kamilaroi/Gomeroi cultural heritage. The technique of sgraffito is a significant feature in her handmade ceramic forms, which links to the carving traditions of her ancestral Country. 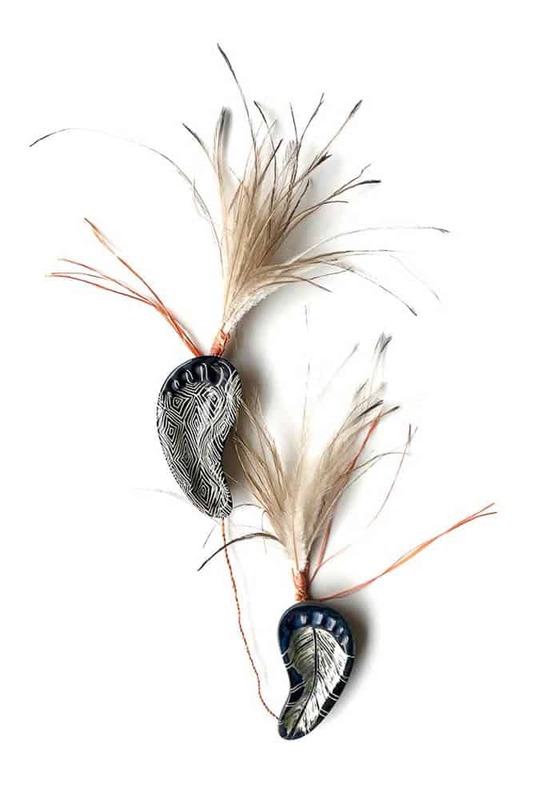 Penny’s artistic practice is also informed by the deep relationship to the land inherent to Aboriginal cultures and personal enquiries into identity and history. I had the pleasure of visiting Penny, in her Lismore home studio where she has created a lively space filled with inspiration and stories that are reflected in her art. 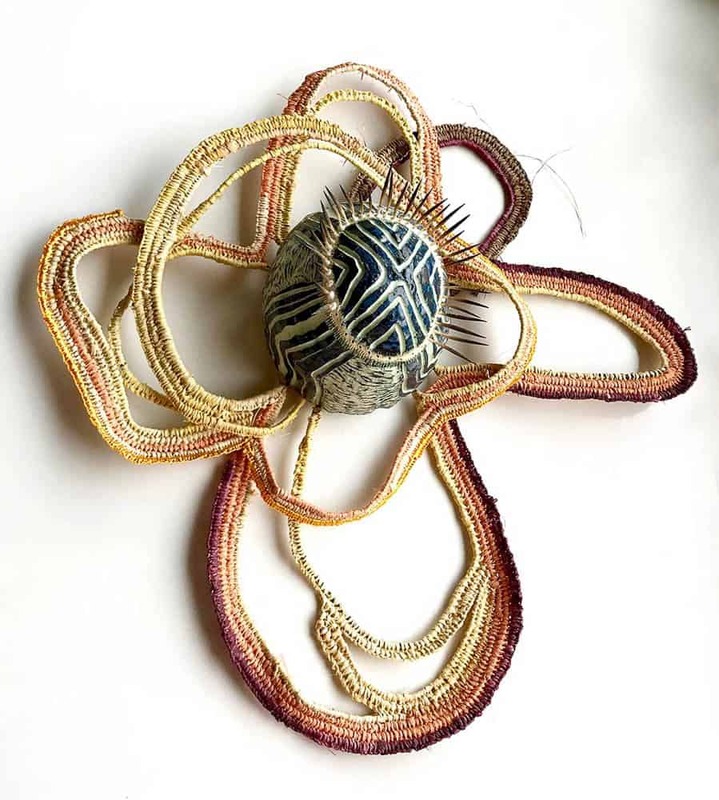 Together we yarned about Penny’s practice and her solo exhibition YiiY: A method to decolonize, Grafton Regional Gallery, 5 October – 9 December 2017. What is sgraffito and how does it connect with your Gomeroi heritage? Sgraffito is defined as cutting away parts of a surface layer to expose a different coloured ground. Using clay, I scratch and carve through coloured slips to reveal the clay body underneath. My Ancestor’s country is in the north west of NSW and they were carvers, carving elaborate designs into grounds for Bora’s (ceremonies) and also into live trees, utensils, weapons, shields and emu eggs. The use of sgraffito and carving in my work speaks to these ancient traditions and exposing of different coloured grounds. Carving back into a surface is also a wonderful metaphor for decolonising and connecting with my cultural roots as regularly engaging in my carving practice on clay connects me at a cellular memory level to ancestral knowledge that is carried in my body. Particular designs that I regularly revisit and evolve, like my diamond designs, directly relate to Gomeroi carved tree traditions whereby they could signify important burial areas. My repeated use of various types of diamonds are deliberate gestures of recognition of the spirits of our dead who did not receive proper burial because of colonisation. Acknowledgement of ancestors and place is further expressed within the ceramic forms that carry your designs. 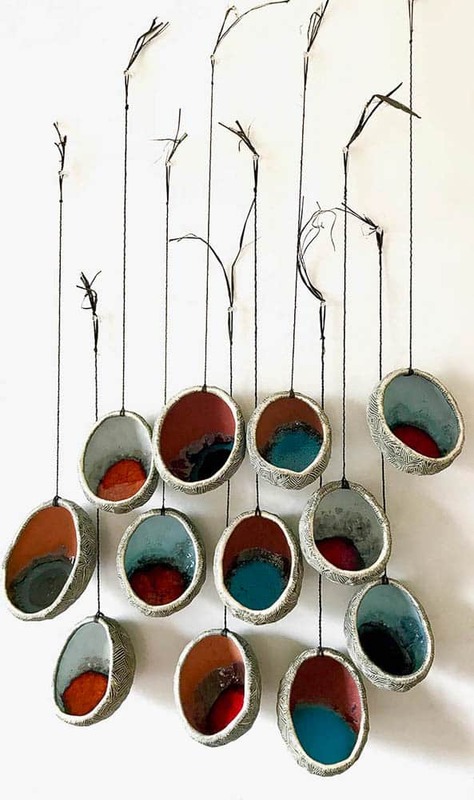 Looking at your collection, the works are diverse and include wall art, vessels, and sculptural forms. What inspires your three dimensional pieces? My three-dimensional works have been created over the past two years for my solo show YiiY: A method to decolonize’ YiiY means “Listen! !” in Yuwaalaraay/Gamilaraay languages. The exhibition is made up of 80 works grouped together in various installations which reflect my time spent in Yuraygir NP exploring ecologies within Yaegl country. My family story is one of colonisation, assimilation and displacement off country. I visit my ancestral country, but live east in Bundjalung country. When in neighbouring country working, I think about intertribal connections, trading, marriages imagining my ancestors visiting for ceremonies. I listen, observe, interact and decolonize in these various neighbouring ecosystems thinking of our Ancestors and feeling the metaphysical traces of their existence through the relationships of animals, birds, plants, sky… totemic relationships and interdependencies. The country becomes humanised. The country speaks to me. And although I can’t understand it the way our ancestors did, I get an inkling by listening, by observing, by feeling. There had been a very hot fire in one area. The ground was carpeted in thick ash and shapes of burnt grass trees and banksia existed in the ash. This is healthy ash apparently, where this happens. Fire is cleansing. Ash is clean. Our Ancestors bathed their newborns in it. I witnessed grass trees, banksia and many other plants and trees, in various stages of decay, after burning. The fire was clearly hotter in some areas than others. I walked passed many different ecosystems within one small area finally arriving at a pristine swamp where only grasses and paperbarks around the edges were scorched. The colour was overwhelming. I visited this place pre-dawn on a number of occasions to watch the feast of colour as light crept into the landscape. The swamp was bristling with blue sedge grass. So ancient. Peat moss country. Coal eventually forms. Freshwater drips through the heath geologies, meeting the sand and flowing directly into the sea. Mesmerising. In a frenzy, I took many photos on many occasions. The banksia, which were everywhere, many varieties, in various stages of undress, called to me, wanting their pictures taken. I took their photos. Yellow tailed black cockatoos flew overhead, in large flocks. 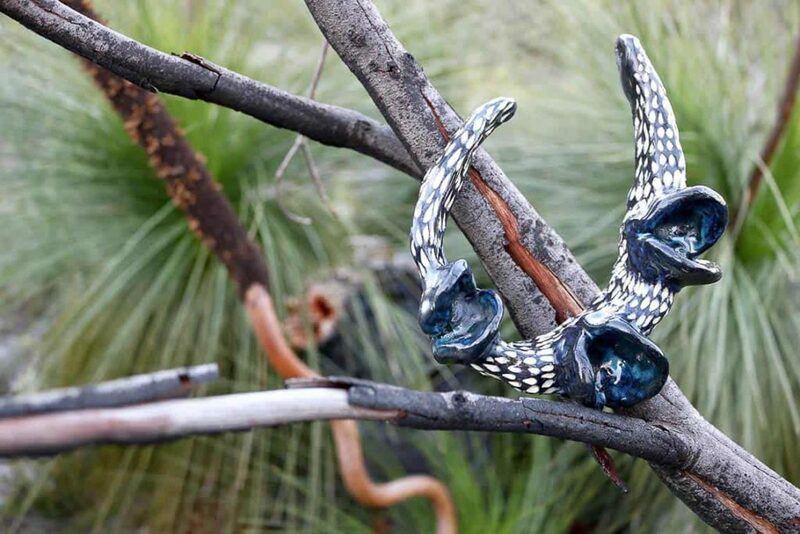 They are related to the banksia and form part of that totemic chain, as they feast on banksia in the coastal heath with their powerful beaks and talons. Opening up a banksia is no mean feat accept to the cockatoo’s and their brother, Fire. From my own experiences through weaving, working with natural materials provides me with a deep sense of connection to the land. Is materiality also an important embodiment in your work? Yes I am enjoying exploring fibre and combining it with my ceramics. I’m currently working with other Indigenous women in Lismore on a weaving/sculpture project and have been experimenting with various fibres, including paperbark. I also recycle, working with synthetic fibre too. I absolutely feel a sense of awe and connectedness to our environment as I harvest fibre, prepare it and get advice and knowledge from other women. I listen to them (the fibre), begin to understand them and the ecologies where they grow. 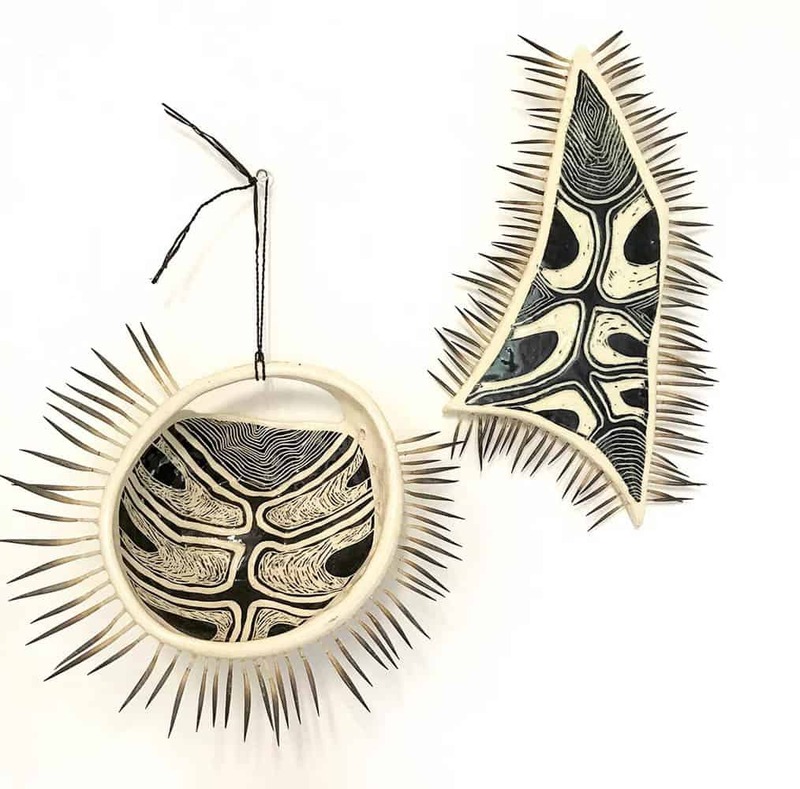 In my work, Balabalaa Yinarr (butterfly woman) I have combined ceramics, fibre and echidna quill and this work references our women walking with their families through clouds of yellow butterflies to get to the big Bunya feasts/gatherings. A natural indicator of a bumper crop. I imagine them while I walk, single file, children and equipment on shoulders. Late sunny afternoon, clouds of butterflies, treading their well-worn path to meet friends, do business, and feast on a nutritious crop. Your practice has continuously evolved and grown over the years. Is this ongoing journey a reflection of your own personal explorations and what’s next for your work? My practice is an ongoing externalisation of my inner life and has multiple meanings. Stories that I’ve been given come through when they’re ready too. Having just arrived back from a healing gathering of Gomeroi Yinarr (Woman) at Boobera Lagoon, our main sacred site—the resting place of the rainbow serpent—I’m feeling energised, healed and flooded with ideas, stories and inspiration. The process of making weaves and dictates the direction the work will take. All I know is that I am definitely combining weaving with ceramics for my next body of work. 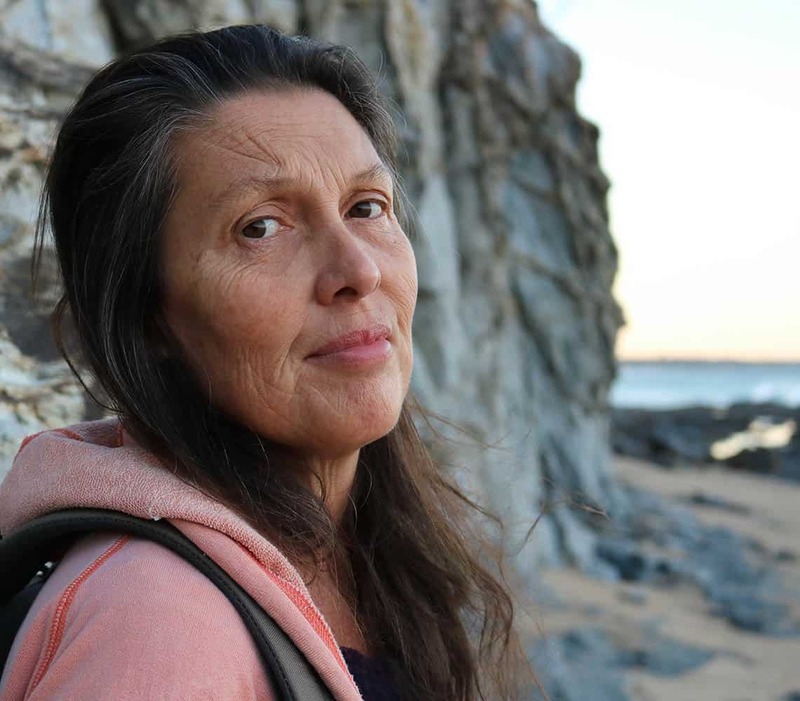 Freja Carmichael is a Ngugi woman, belonging to the Quandamooka People of Moreton Bay. She is a curator working broadly across the Indigenous visual arts sector and has a strong interest in traditional fibre practices and collaborative curatorial approaches. She has curated and co-curated a number of exhibitions including the major exhibition Gathering Strands at Redland Art Gallery in 2016. 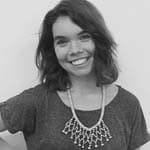 Freja was recently awarded the inaugural Macquarie Group First Nations Emerging Curatorial Award.